Many times as parents we wonder if we really do the best we can for our children. This is normal and can be very constructive if we always remember that our input in the psychic world of our children and our influence in shaping their character is more important than the material goods we offer them. The role of the father in the family is more important than ever and with the frenetic pace we follow today, free time and patience have become rare commodities. This applies to both parents, but very often the father cannot spend enough time with his children or neither does he has the necessary patience to teach, guide and enjoy their love. How can you become a better dad? I believe that every father should take a little time to think, reflect and consider how he can offer more to his children. The time he will dedicate to this purpose will allow him to make better decisions and become a better father which is perhaps the best gift he can ever make to his kids. 1. The first step is to accept the fact that you are not alone any more. The man who became a father must realize and accept the fact that his is not alone anymore. The new situation is irreversible; the life of a father does not rotate anymore about his own needs or about his own wants. The sooner a father adapt to the new reality, the better. 2. The father should be alert for what happens to the surrounding environment and to his family. Whether we like it or not, men are often very self-centred and cannot easily perceive the needs of others. This is more visible when they enter a new environment or when they face new situations, such as parenthood. The father must constantly examine what is happening around him and find ways to do things that will create a harmonious atmosphere for his children and family. 3. The father should be willing to help at home. Sure fatherhood means love and support, but too often a father has to do chores and help in the house. Children are very creative and active and the mother alone cannot cope with everything. The father should be willing to help by doing things he can like carrying things from the cradle, tidy up children’s toys, take the kids to the park and why not change their diapers. A good father is equipped with tons of patience. And patience, at home with his family, is one of the things he will need more. Let’s not overlook the fact that in our work and with our colleagues, we are more patient and show more tolerance and understanding than our house. It is therefore necessary for the father to increase his patience, tolerance and understanding when at home and significantly reduce the reasons for which can be angry or curt with his children and his family in general. 5. A good father must know how to play. If not it is necessary to learn. In order to operate correctly and in harmony a family needs to have a little fun on a daily basis. Time for fun in the family is as essential as the time for any other daily obligation. This time offers valuable energy to all family members and enables them to cope with the difficulties and the routine of everyday life. 6. One of the main characteristics of a good father is the ability to successfully organize his life within the family. As a father and family man, he no longer has the luxury to organize his own plans or set priorities as when he was alone. What is important for a father is to find the balance between his own needs and the needs of the family and more specifically the children. His calendar should include time for work, time for pleasure but also time for the family. The faster he can adapt to the new situation, the easier will be for him to make correct decisions and be more available to his children. 7. A good father knows that it’s the parents who govern at home. At the same time he knows he has to support his wife when it comes to their children. You need to ensure beforehand that you have a common position with your wife for important issues and that you agree on the way to handle different situations. In this way children learn what to do and what not to do and this does not affect the smooth functioning and relationships in the family. 8. A good father knows how to listen. Creates the conditions so that everyone in the house, children and adults, can say what they feel and think. A good father should teach his children understand that what matters most is not only what you say but how you say it and when to say it. Having a good communication channel at home is a necessary component and a recipe for happiness. 9. A good father is honest and trustworthy. 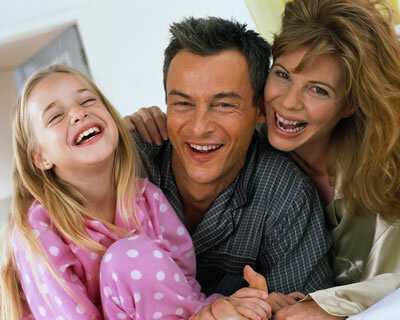 It is essential for a good family life to be honest, trustworthy and reliable. Children will acquire these virtues because they take a good example from their parents. The man who wants to be a good father says things like they are without lies and tries to make his children learn to accept the truth as hard and this is. 10. It is the obligation of the father to care for the good health of everyone in the house. Teaching your children healthy living practices and protecting them from diseases are part of your duties as a father. Do not also forget that you are also responsible for their mental health and wellness. Encourage them to use their mind and judgement before making decisions and show them by example how to life healthier both in body and mind. I believe that these suggestions can help men who have recently become fathers as well as those that already have children. It’s not too late for anyone to become a better father. You do not need any money to do it but the benefits are invaluable both for children and for your family in general.